Offering chic, stylish accommodation in East Melbourne, near the MCG, Mercy Hospital and Melbourne Park, Tribeca Serviced Apartments are situated only one kilometre from the heart of the city amongst some of Melbourne's finest retailers and within 15 minutes of many other top tourist attractions in Melbourne, including Federation Square, the Melbourne Museum, Queen Vic Market and more. 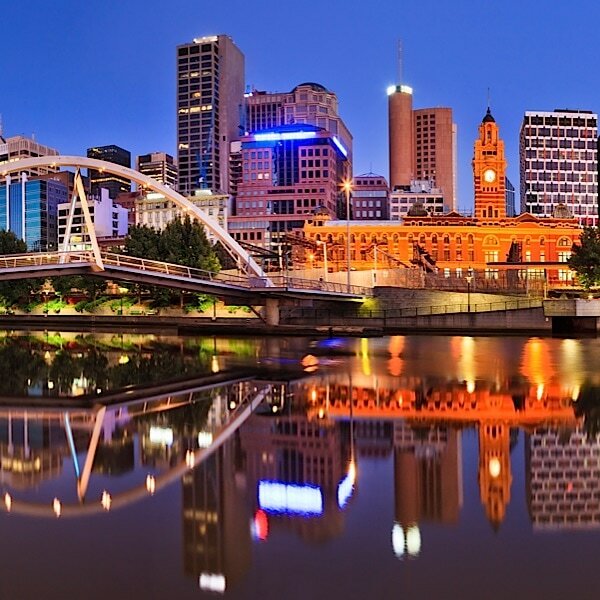 When planning your Melbourne sightseeing tour, our front desk staff is happy to offer suggestions on their favourite tourist activities, attractions to see and things to do. Since it opened in October 2002 more than 24 million people have visited this innovative and architecturally stunning building. 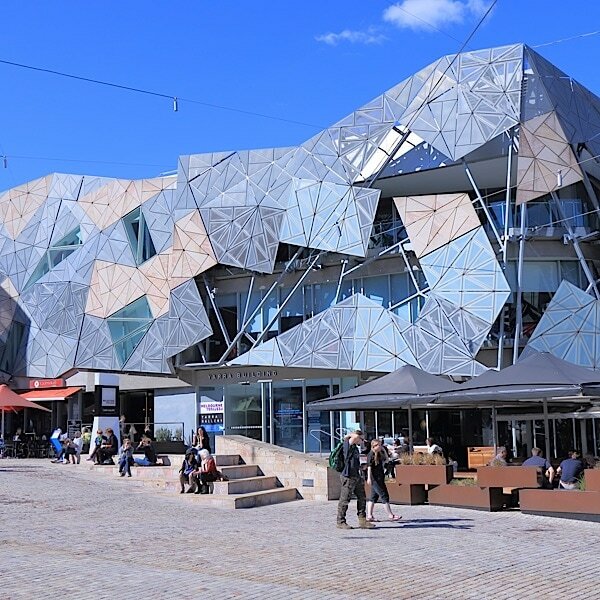 It houses significant cultural attractions including the Ian Potter Gallery of Contemporary Australian Art, the Australian Centre for the Moving Image and the SBS studios, as well as many fine restaurants and bars. Melbourne's museums tell a story of how Melbourne became the city it is today. Melbourne’s aboriginal history is revealed, the discovery of gold and the ensuing rush to immigrate to Victoria and you can even visit a set from the popular TV soapie Neighbours. 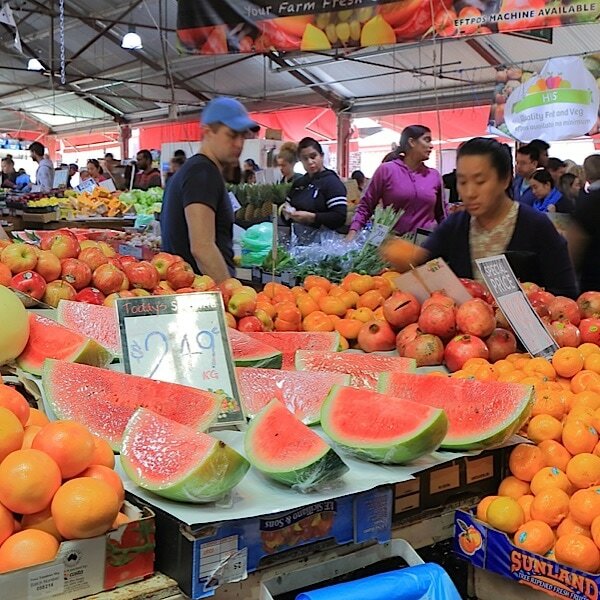 The Queen Victoria Market opened for trading in 1878 and is a must see destination, the largest open-air market in the Southern Hemisphere. Enjoy the hustle and bustle early on a weekday (Tuesday, Thursday and Friday) to see the real trader action, or on the weekend when hordes of locals and tourists alike soak up the atmosphere – shopping and eating as stall holders tout their wares. Fitzroy Gardens are a wonderful transition between the city and East Melbourne and are one of Australia's major 19th century landscaped city gardens. The Gardens are a popular tourist attraction, with historic buildings, sculptures and horticulture, and are bounded by Clarendon Street, Albert Street, Lansdowne Street, and Wellington Parade. There are a number of buildings with historical significance such as Cooks' Cottage, the Conservatory, Sinclair's Cottage the Scarred Tree, a remnant of Aboriginal culture. The lively and cosmopolitan area of St. Kilda, is situated on the bay to the east of the city and is only a 25 minute tram ride from Tribeca. St. Kilda's lively atmosphere draws crowds of both tourists and residents alike. On weekends, Melburnians flock here to walk, cycle and skate along the palm-lined foreshore or to enjoy a drink at the many eclectic cafes and bars. With its riverside setting and fantastic views over the city skyline, the Southbank promenade along the Yarra River is one of Melbourne's most popular dining precincts. The promenade has a broad range of cafes and restaurants ranging from the Southgate complex to the glamorous Crown Casino. This open-air stadium is one of the world's most famous and holds approximately 100,000 people. When England tour Australia for the ashes, the Boxing Day test is the ultimate cricket fan's spectacle. Throughout the winter the MCG serves as home to Australian Rules football and is just a short walk from Tribeca Serviced Apartments. Renowned for its revolutionary design, the arena can be adapted to any event – from ice-skating to opera, or from cycling to basketball. As well as retractable seating, this state-of-the-art venue also has a retractable roof that can open or close in less than 10 minutes. Recently, the new South Dragons National Basketball League (NBL) franchise made Vodafone Arena its home court. Located in the popular Docklands precinct, Telstra Dome is the first stadium in the world designed for Australian Rules football and includes a retractable rooftop. Home to some of Melbourne's AFL (Australian Football League) teams in the winter, the stadium has also been used for A-League soccer, cricket, rugby league and rugby union, and also other entertainment events such as music concerts. One of Australia's leading sport and recreation facilities, the Melbourne Sports and Aquatic Centre (MSAC) has a huge variety of facilities and programs to cater for sport, fitness and wellbeing. It also boasts one of the largest wave pools to provide visitors an indoor beach and surf environment. With over 1.5 million people visitors each year, Rod Laver Arena is one of Australia's largest sporting and entertainment venues. Home to the Australian Tennis Open held in January, the venue's less than 1km from Tribeca Serviced Apartments and is easily accessible by public transport. A multi-purpose outdoor stadium, Olympic Park was built as a training venue for the 1956 Olympic Games. The stadium currently hosts Melbourne Storm (NRL), and the Melbourne Rebels (ARC). Under an hour from Melbourne and nestled amongst infinite shades of blue and green, lie fifty five of the world's leading wineries alongside many fine restaurants and romantic retreats. A thoroughly enjoyable way to experience the Dandenong Ranges is to ride on Puffing Billy, Australia\'s oldest surviving preserved steam railway. The 25km journey takes passengers through thick forests and lush fern-filled gullies, from Belgrave to Emerald Lake Park and finishing up at Gembrook. Just an over an hour from central Melbourne, Daylesford's boutique accommodation, mineral spas and fine dining are world class. Explore antique shops and art galleries, go boating on the lake, or just relax with a glass of wine and enjoy the atmosphere. Drive ninety minutes from Melbourne and you can find yourself communing with koalas, sharing the beach with hungry pelicans, watching a colony of fur seals splashing in the sun. After sunset you can view the famous nightly spectacle of the world's smallest penguins as they emerge from the sea and waddle ashore to their sand dune burrows. Winding along the western coast of Victoria, the Great Ocean Road offers stunning ocean views, beachside activities, laidback coastal towns and maritime villages, not to mention the magnificent twelve apostles, giant rock stacks which are a central feature of the spectacular Port Campbell National Park. As you drive along the Mornington Peninsula you could be forgiven for thinking that you have left Australia behind. Rolling hills laced with vineyards, silvery olive groves, waterfront cafes and restaurants, roadside signs for strawberries or free-range eggs and lively local markets where growers bring just-picked and just-made produce. All just over an hour from Melbourne. Whether you are interested in high fashion or fine art, Melbourne's ever-evolving shopping choices make it difficult to decide where to start your spree. Explore the reinvented Melbourne Central, discover the new QV and GPO precincts and lose yourself in the myriad of laneways and arcades. Melbourne's historic network of laneways and arcades boasts the unique, the exotic and the quirky. Discover an eclectic mix of small boutiques selling everything from Melbourne designed fashion to exotic imports such as Russian dolls. QV is Melbourne's newest inner city laneway precinct featuring a dynamic mix of high-end fashion and lifestyle retailers and a European-style piazza with gorgeous cafes, restaurants and bars. If you're a shopper who loves a bargain, DFO is your haven. It's the only shopping destination of its kind in Australia where you can stroll through up to 120 big name brands and pay up to 70% less – at any time of year. Literally only a five-minute tram ride away. The bohemian heart of Fitzroy, Brunswick Street is always a colourful experience. Aside from the abundance of cafes where urbanites sip long lattes, there are also hip and cheap funky alternate grunge shops. Then there's the fringe art galleries filled with works by local artists. No place captures Melbourne's cosmopolitan culture better than Bridge Road Richmond. It is a mass of contradictions with something for every conceivable taste and exceptionally good value. Bridge Road is renowned for its eclectic shopping. Stop at any of the many cafes, restaurants and take a break and soak in its unique culture.